Hassan is an experienced children law barrister. He also undertakes general civil work, particularly Inquests, for the Government Legal Department and sits on a number of Professional Discipline Panels. He has expertise in cases involving applications for child arrangements orders after separation or divorce, including issues relating to parental responsibility such as change of name; medical treatment; schooling; holiday and relocation disputes. His work often involves disputed cases of shared care, intractable contact cases and issues of parental alienation. His cases frequently involve an international element, including child abduction and permission to temporarily or permanently remove children from England and Wales. Hassan has a strong practice working for alternative families. This includes surrogacy cases where intended parents, straight or gay, commission surrogates either in this country or in other countries such as the USA and India. He has dealt with celebrity and high profile surrogacy clients and successfully obtained the necessary English parental orders they required. He is often instructed in so called co-parenting arrangements, for example, when disputes arise as to the role each adult should play in a child’s life. In 2014, Hassan was recognised for his work in this area when the National LGBT Bar Association & Interlaw Diversity Forum awarded him a prize for his outstanding contribution and commitment to LGBT equality. He has considerable experience with international cases, for example where a child has been abducted or a young person has been or is about to be forced into marriage. In fact he conducted one of the first forced marriage applications in the UK for Dr Abedin, a 33 year old GP who had been forced to marry in Bangladesh. This received widespread press coverage, following which Hassan was interviewed by the BBC World News as to whether forced marriage should be criminalised. Experienced children law junior who handles a wide range of private children law cases. He is noted for his strength in matters relating to wardship, surrogacy and cross-border child abduction among other areas. Recent work: Successfully represented a mother who sought committal of a father to prison for retaining a child in Nigeria for 4 years. The father received 15 months’ imprisonment. Experienced children law junior who handles a wide range of private children law cases. He is noted for his strength in matters relating to wardship, stranded spouses and cross-border child abduction among other areas. Experienced children law junior who handles the full range of private children law cases. He is noted for his strength in matters relating to wardship and cross-border child abduction. Specialises in a broad range of fields within private children law work. These include cross-border issues such as abduction and international adoption as well as surrogacy and forced marriages. Manages a strong practice dealing principally with private law children matters, including surrogacy and parental authority cases. Enjoys a fine reputation for his work in cross-jurisdiction children matters, particularly those concerning child abduction, surrogacy and forced marriage. 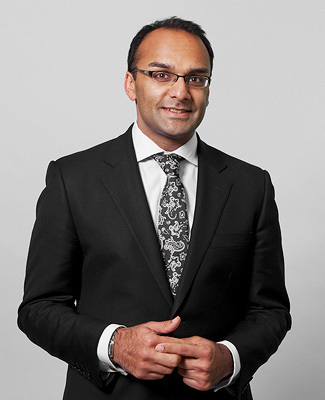 Hassan Khan specialises in international children matters, and is particularly noted by sources for his work in surrogacy cases. Other areas of focus include cases concerning child abduction, forced marriage, adoption and stranded spouses.